With the Brilliantly Funny and Extremely Different! BILLY FLYWHEEL is a comedy talent not to be missed. Laughs galore are guaranteed from this zany and most original of entertainers with his quick fire jokes and bizarre happenings during his performance. Clean, non offensive, comedy material, Billy is the ideal choice for any after-dinner occasion, be it single or mixed. 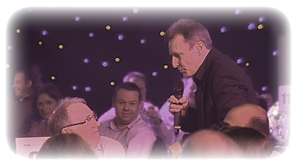 Billy and his unique show have proved to be a big hit both in the corporate market and on the after-dinner circuit. At Sportsman’s dinners he has appeared with numerous sporting legends such as Kevin Keegan, Frank Bruno, Bob Champion, John Parrot, Graham Gooch, Peter Shilton, Nobby Stiles, Sir Ian McGeechan, Gareth Chilcott, Jan Molby, Lee Sharpe, Matt Le Tissier, Ray Parlour and Paul Merson to name but a few. He has done various corporate events for the Football Association and for several Premiership, Championship and Football League Clubs. Billy is a hugely popular choice for Corporate Golf days and Club dinners, Conference, Social, Masonic, Rotary and other high profile Black tie events. Billy, who has been acclaimed a comic genius in several publications including the ‘Stage’ newspaper, has appeared on National and Satellite television and has won several Comedy awards Nationwide. 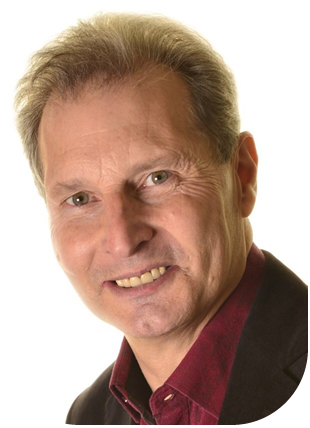 He has appeared on the Ultimate Laughter Show alongside such comedy greats as Bernard Manning, Frank Carson, Norman Collier and Johnnie Casson. In 2018, he was part of the Ricky Tomlinson ‘All New Laughter Show’ that toured the UK. Billy Flywheel will give you a Fantastic Night that you will long remember. Click on the Testimonials section and see what the clients have to say.